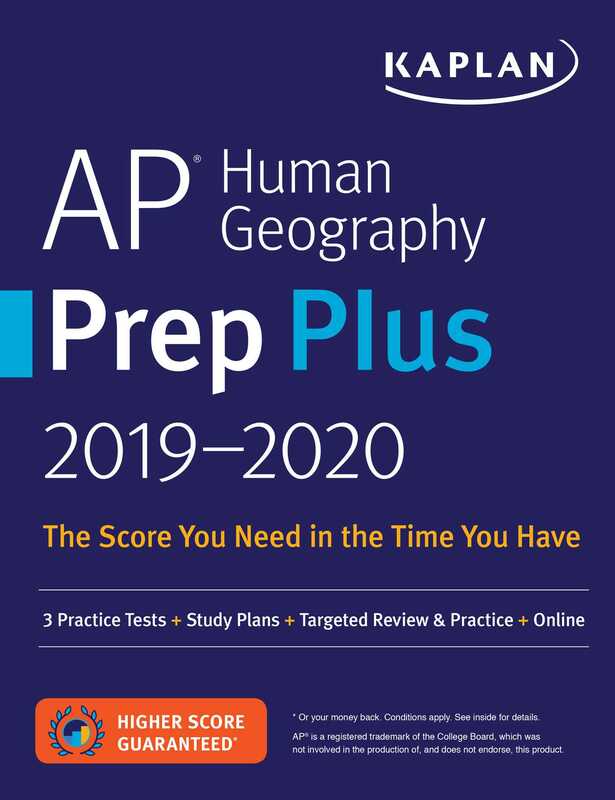 Kaplan’s AP Human Geography Prep Plus 2019-2020 is completely restructured and aligned with the current AP exam, giving you efficient review of the most-tested content to quickly build your skills and confidence. With bite-sized, test-like practice sets and customizable study plans, our guide fits your schedule. Kaplan is so certain that AP Human Geography Prep Plus offers the guidance you need that we guarantee it: After studying with our online resources and book, you’ll score higher on the AP exam—or you'll get your money back.